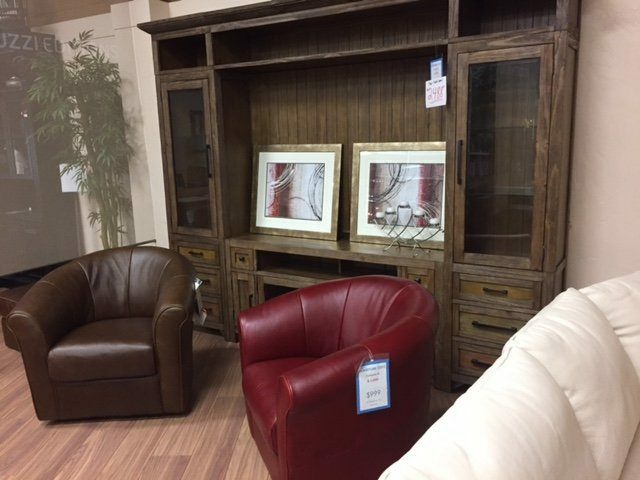 Save big on discontinued, one-of-a-kind, and scratch and dent furniture. We believe that you shouldn’t have to settle when shopping for the furniture you love. 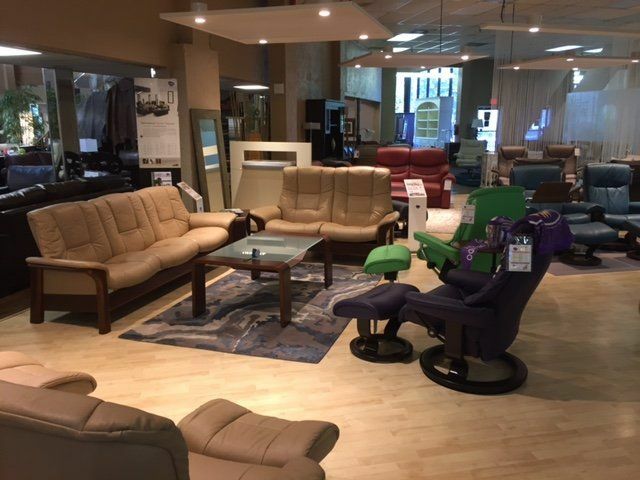 That’s why our 30,000 square feet showroom displays some of the most distinctive and most customizable home furnishings in Central Florida. Shopping should be fun and stress-free. See for yourself how our commission-free staff, preferred brands, and respectful delivery team makes your buying experience seamless from start to finish. 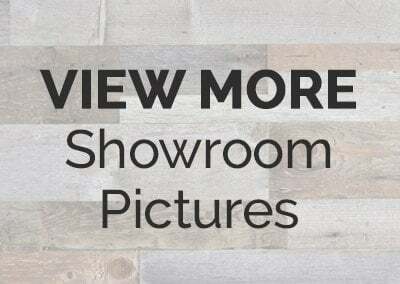 View showroom pictures below or browse some of our products online before visiting our Altamonte Springs location. Ready to get started? Click here for directions! Maximize your comfort during the game, show, or movie of your choice. 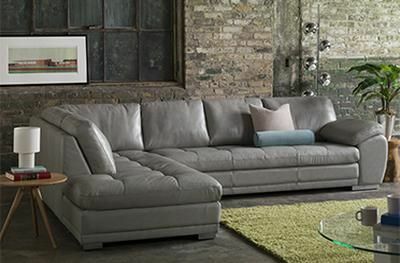 With power reclining, adjustable headrests, in-unit storage, underside and cupholder lights, and in-arm controls, you’ll have all that you need to sit back, relax, and enjoy the show. So, this is a little unusual but I was here today but not actually as a customer. My scooter broke down and I was in their parking lot trying to get a tow. I went inside to let them know why I was hanging out in their parking lot and they were so very kind and hospitable. A storm came and they let me take refuge from the storm and let me charge my phone as I had a bad situation and my phone was about to lose power.One lady even offered to let me come sit in one of their massage chairs while I was waiting! 😄 My thoughts from all this are...if they are this kind to a person that wasn't even there to spend money, imagine how wonderful they must be to the ones that are?! God bless you all for your kindness in Jesus name! Go check these folks out! This is the 2nd time we've bought a Natuzzi sofa from Colliers Expo. Like the first time, the sales staff and the delivery staff were all courteous, polite, responsive and helpful. I would happily give the company a 5 star rating, but on this occasion, the manufacturer has let them down a little.The Natuzzi sofa is a sectional/modular system. The first sectional that we bought - all of the sections fit together accurately, and the front of the sofa looked like it was all "one piece".The sections fit together using a bracket & hook system that locks each section piece to the next one.This time, the sections we ordered were to make up 2 sofas, each with a powered recliner. Unfortunately, the section hooks and brackets are not as accurately positioned - and so the front of the sofa looks like its different sections that don't fit together.This is a $6k sofa! Colliers asked us to write reviews, so we're "telling it like it is". I've also written an email to our salesman at Colliers to ask them what they think about the problem. It's too early for a reply yet, but I will update this review after I get one or get a resolution. I didn't buy anything here but the sales staff was very helpful and informative. They sell some interesting stuff - definitely worth checking out if you're shopping for some furniture. Steve is great! 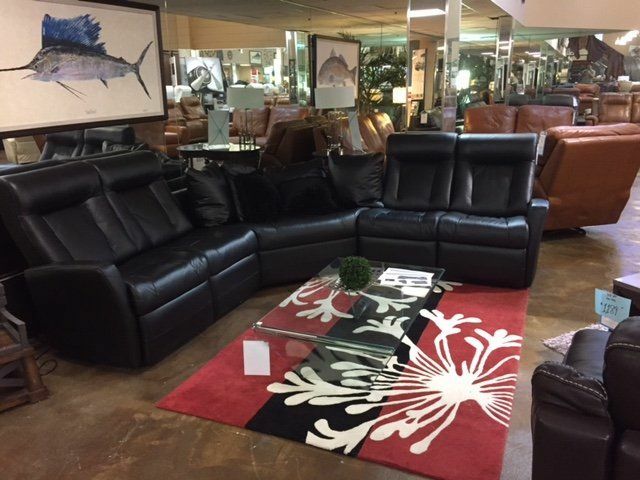 I have searched furniture stores all over Orlando for 4 months and could not find the couch I was looking for. I called Steve and explained what I wanted. He found exactly what I was looking for and has been very easy to work with through the whole process. My couch was just delivered and it’s perfect. My wife & I were looking to replace a very uncomfortable couch purchased elsewhere. On our first visit we were met by Michael and left feeling we had found where we would purchase our couch and maybe more. We must have visited at least 6-8 times to sit on different couches and chairs, I’m picky and the feel has to be right. Each visit we were welcomed in the friendliest fashion, with no sales pressure. We finally ordered two Stressless chairs to replace our couch.The real test of customer service is how a company handles things when something doesn’t go as planned. 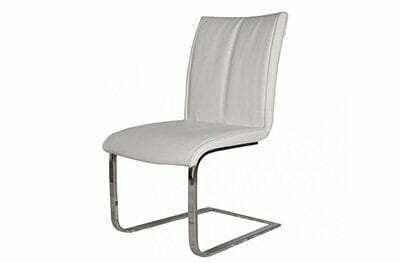 There was a ‘hiccup’ in the delivery of our chairs, which delayed delivery. I immediately got a call and Michael arranged to take two brand new Stressless chairs off the display floor and deliver them as loaners until ours arrived. 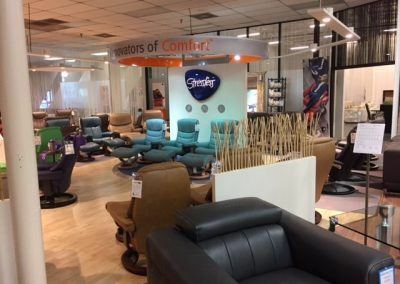 Michael said, “I don’t want you to sit on that uncomfortable couch any longer”.Michael and Collier’s Furniture knows what it takes to turn furniture shoppers into ‘customers for life’! Love our new sectional. David was great to work with on picking it out, and the delivery guys were great. Best furniture place I've ever been to. 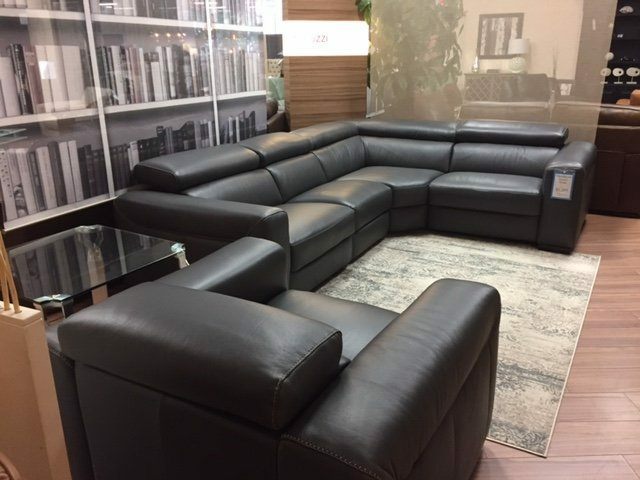 We purchased a Natuzzi Editions Sofa and ottoman from Leather Furniture Expo. The transaction was handled through Colliers. Unfortunately the style was slightly different than what we had seen pictured and described on both Leather Furniture Expo and Natuzzi websites. 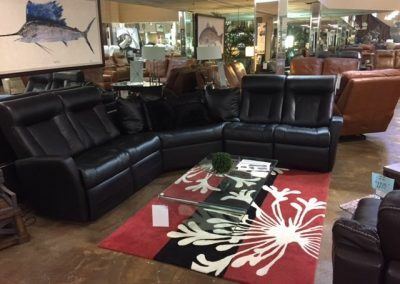 Our contact Sam, was very understanding and offered several solutions including picking up the furniture and a full refund. We were happy with the product. We settled for a partial refund. Not only did Sam remain easy to deal with throughout the process, the refund was posted with in the hour. I am very pleased we dealt with Collier. 5.0 star rating 10/24/2017 Sometimes you don't have to pay more for superior quality and exceptional service. My Stressless recliner was out of warranty and showing a little of its age (over 10 years old). Instead of trying to sell me a new chair, Collier's offered to order replacement parts at a FRACTION of the cost. The chair also had a couple of aging spots (don't we all). Collier's had their leather guy go over the chair returning it to near perfection. This was more than I expected. Working with Michael and Steve was a pleasure, they focus on quality and customer service. This will be our first stop for furniture purchases in the future. We have purchased furniture on three occasions. We have been treated very fairly with extremely kind and patient sales personnel, as well as Colliers having competitive pricing. Steve, the Customer Service Representative, has always been very helpful. He has listened to our requests, and has made sure that our questions have been quickly resolved. I would recommend Steve and all of the Colliers’ sales staff to definitely help you with your furniture needs. Great experience. Price was right (I am a ""Shopper""). Thanks to MOVE4ALL, INC. as well for an awesome $75 same day delivery. Everything went without a hitch. Great staff & good prices. I'll be back and I will refer!!! 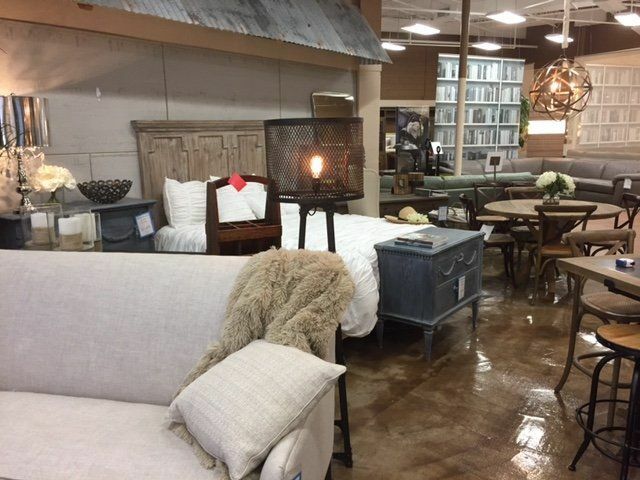 My sister and I visited Collier's on Saturday and spent several hours there picking out new beautiful furniture. Victor was patient, attentive and reasonable. He helped us find just the perfect combination for our family room. I can't wait for the set to arrive! I would recommend your store to anyone hands down above any other store I've shopped at. And I would tell them to call on Victor, as he was a superior salesman who made the process enjoyable and exciting! My husband and I spent an hour ordering our two leather reclining sofas. I had spent weeks on the on-line site and requested leather color swatches (which helped so much in the process). Victor was amazing, however, I have a feeling everyone who works at Furniture Expo is pretty darn special! Remember this folks, if you want a special sofa in a special color, QUALITY TAKES TIME! I'm o.k. with waiting for perfection. 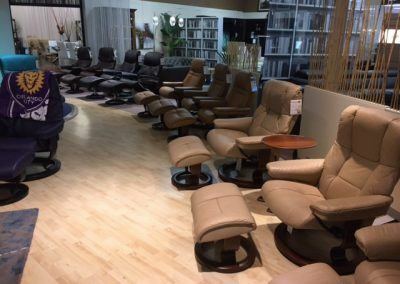 🙂 After a late lunch (close by the store) my husband and I returned to Furniture Expo and ordered a brown leather massage chair for our spa room.... IT WAS A GOOD DAY! We were very specific on our couch needs. 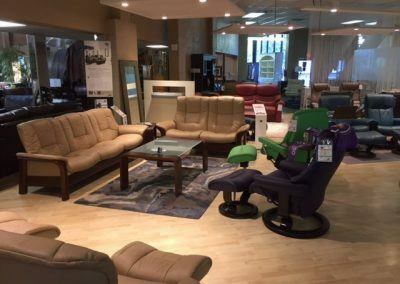 After visiting almost a dozen furniture stores in Orlando, Colliers furniture was the best experience. No pressure shopping, lots of options and high quality choices at a reasonable price. It even competed with online comparisons. Steve was extremely patient with us (we visited three times!) and great to work with. Highly recommend checking it out. 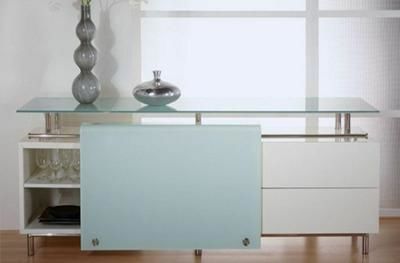 Great quality furniture. We purchased a bedroom set and absolutely love it. The service was outstanding. Victor Garza was great to work with, he took the extra time with us (even staying late one evening) to make sure we had exactly what we wanted. So many options to choose from ... the final product wasn’t perfect!! Delivery and set up was perfect as well. They provided us a delivery window and arrived as promised. The guys who delivered and set up our pieces were very professional and took the time to set the pieces where I wanted them. 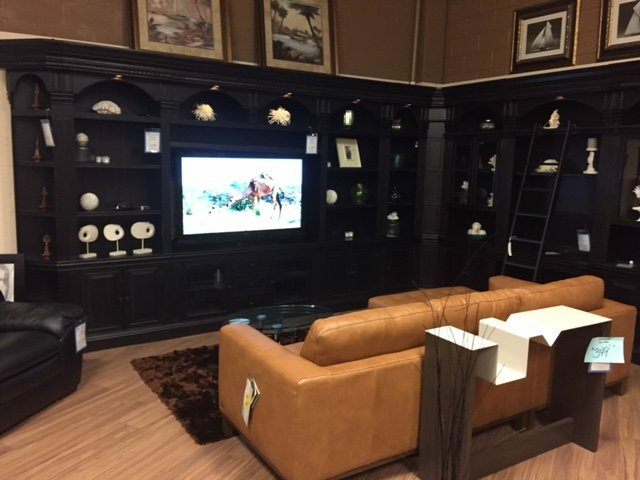 Great Furniture and great experience, you won’t regret purchasing anything from Collier’s. I couldnt rate Colliers any higher. They are professional and trustworthy! We purchased a custom Palettes by Winesburg dining room table and eight chairs. Vic did an awesome job (with a lot of patience) walking us through the many choices and helping us with our decisions; he is phenomenal! When the furniture arrived, the delivery crew was exceptionally professional. The table and chairs are absolutely beautiful! We will be back!! I was in terrible pain from recent knee surgery and realized I needed a recliner ASAP ! Never got one before because they look awful so we went to our local furniture store and found a beautiful Palliser zero gravity recliner...that they refused to sell me because it was the floor model. They offered to order one and get it to me in 8 weeks! 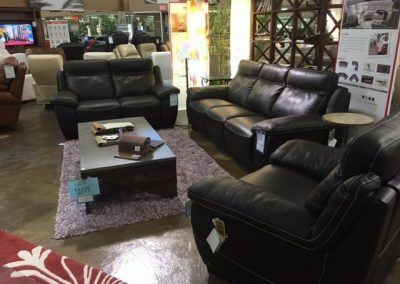 Called around Orlando and was fortunate to get Victor on the phone at Collier's who not only had the recliner I needed but said he could get it to me in a week!!!! The delivery guys were awesome - courteous and when delayed by a fire on I95 keep me updated on their ETA. I noticed the following day the headrest was missing but figured maybe the chair was "as is" but it just got it delivered to my house without me having to even make a call! I very much appreciate the intelligent and helpful customer service that Victor Garza provided and anticipate purchasing an addition recliner and additional furniture soon. A great experience, excellent all around. We wanted to replace our LazyBoy sectional and went to every furniture store in the area. 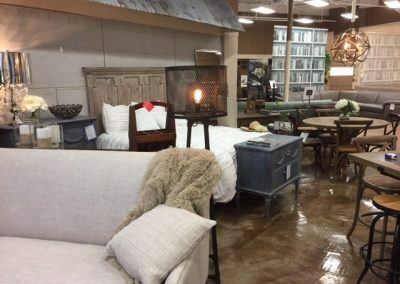 We knew what we were looking for, but unfortutaely encountered a number of salespeople that did not know their product line or what could be ordered. 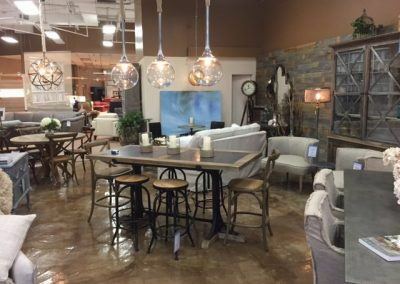 My wife suggested that we stop in Collier's Furniture Expo, and I didn't even know they existed. Once there we saw some things we liked, asked about special orders and they knew their manufacturer's capabilities inside and out. We went home measured, and went back to place the order. When we arrived Mike Collier, the owner came over and introduced himself and answered the rest of our questions. He told us it would be 8 - 12 weeks before the furniture came in and we were fine with it, since we were getting exactly what we wanted. So we were surprised when we got a call that our furniture had arrived in four weeks instead of 8 - 12, and they were ready to deliver. They usually tell you when it's convenient for them to deliver and what days you have to choose from, even if it isn't convenient for you. But here they ask you when you want it and they make every effort to accommodate you, which they did.But the delivery is where the wheels can come off, since you now have them tromping through your house with a lot of large furniture. You hope that they will treat your home with the same care and respect that you do, but that isn't always the case. 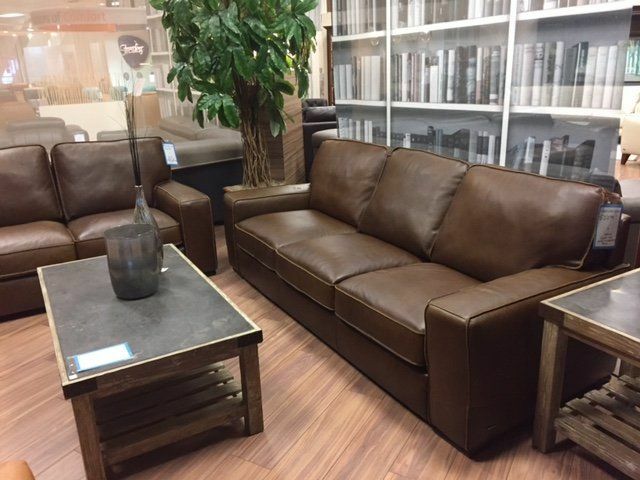 The delivery team they sent out were just like the pros that we dealt with in the showroom.They wore shoe covers in the house, took their time and did a great job, and even accommodated special requests to move a few other existing pieces of furniture around. I was impressed and will use them as the benchmark for a quality delivery service in the future. Overall it was a great experience and we will definitely shop there again. We were at Colliers today to buy theater seating. Victor was VERY helpful and gave us the time and privacy we needed to explore our options. We ended up buying the very first seating combination he showed us. He was knowledgable about options, leather types, colors, and quality. I told him at the time that if a company has a good product you end up buying the person! The product was beyond good and the person was terrific. Thanks so much. As an added note, I really appreciated the comprehensive nature of the website, which allowed me to know what I wanted to look at before we arrived at the store. And the location on 435 is really convenient. I enthuisastically recommend Collier's. Amazing selection and customer service. Sebastian was extremely knowledgeable and patient with me and my son throughout my 2 visits. 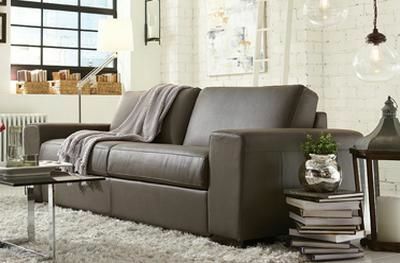 He helped me find the perfect all leather sectional by Omnia which is made in USA. Delivery was flawless. On time, courteous and professional. I will definitely ship here next time I need furniture! Good place to browse. Might find something you need. Staff is helpful. 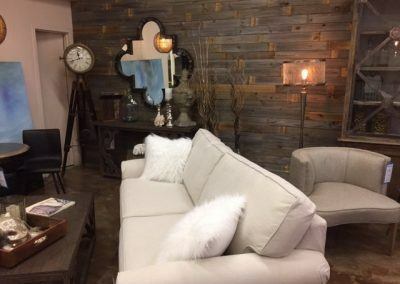 Great selection if furniture & some decor items. Staff friendly and helpful. Awesome guys! 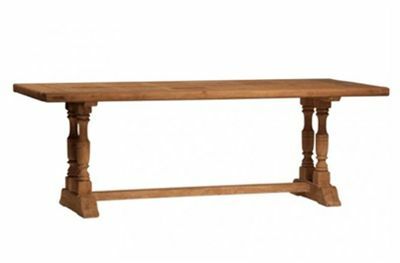 They helped us find the perfect dining room table and gave an amazing price for it. Keep the good work up! Ideal furniture shopping experience. Professional, timely, quality and value. Will be back! After reading some of these negative reviews I almost wonder if they shopped at the same business that my wife and i did. But i digress.....Our experience was awesome. 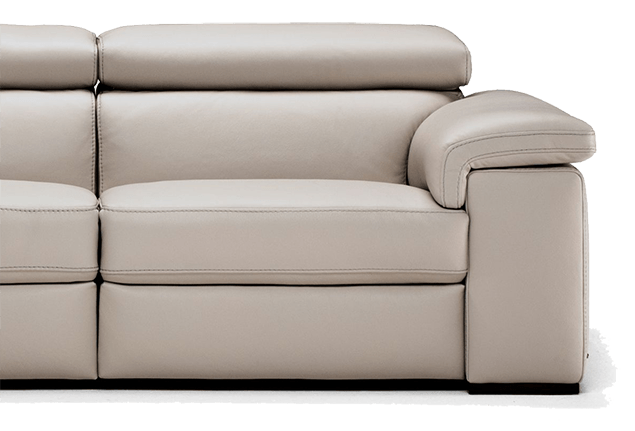 We ordered two stressless chairs as well as a custom couch. Everything went exactly as promised. They were fair and understanding on pricing and worked with our budget. 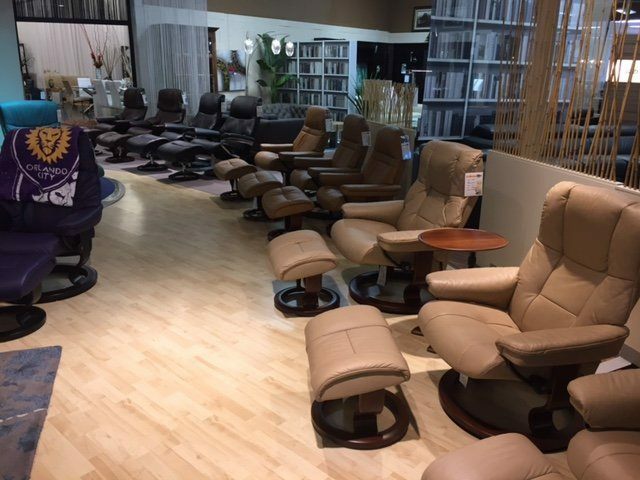 Over our several visits we worked with michael as well as several other associates and everyone has been extremely pleasant and efficient.We had a service issue just last week with the ottomans for our chairs, which are now over a year old and i am sure out of warranty. They took them in, didn't even MENTION a service charge and fixed them with a 3 day turnaround. Even if they had charged us however, the chairs are a year old and they turned them around in 3 days. Thats pretty awesome in my opinion.This is a very well run and honest business. I have already recommended them to several other people and will continue to do so. Thanks for the exemplary service. I received exceptional service. David was wonderful. 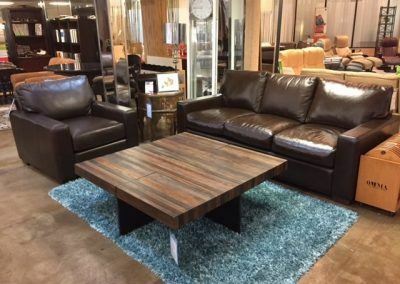 High quality furniture at a great price. I can’t say enough good things about Collier’s! We have had a fabulous experience with them. My husband found their website and we originally went there looking for a solid wood dining room table. There were so many options my head was spinning. Luckily we had Victor as our sales rep. He’s amazing! Knowledgeable, patient, and so friendly! We have been back over and over again. We purchased a dining room table and chairs, barstools, a bedroom set, a Natuzzi sectional, and a buffet. The furniture is beautiful! We are very pleased with the entire experience from the beginning with Victor all the way to the delivery team. Thank you, Collier’s! 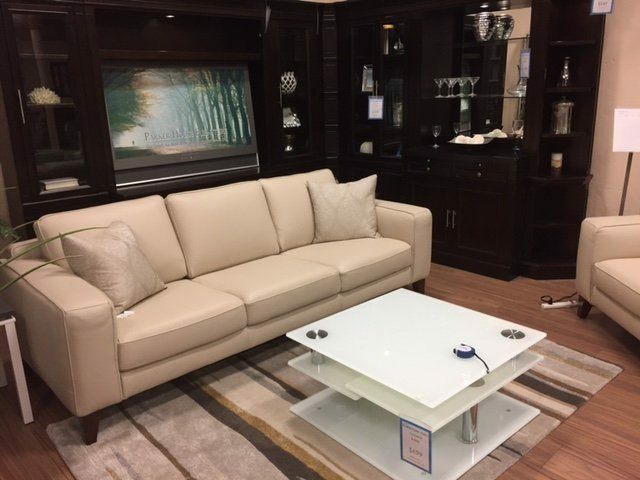 My husband and I had an excellent experience at Collier"s Furniture Expo. Victor was our sales associate, he was so helpful and informative. 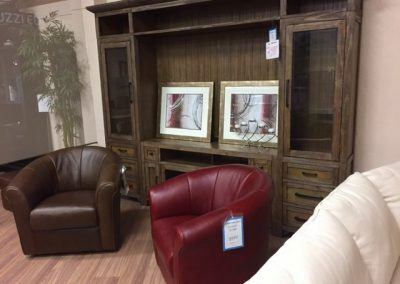 The quality of the furniture is superb. We would definitely go back for future furniture purchases.